Medical Microneeding is a new concept in skin rejuvenation treatments and stimulates the skin to induce collagen production and regenerate and repair itself naturally and safely, creating smoother, brighter, healthier, younger looking skin. Microneedling restores aged skin by stimulating the natural induction of collagen (much like during laser surgeries or peeling) increasing skin thickness by about 8%. Plus there are almost no side effects, making it the ideal anti-ageing skincare solution of the next generation. Advanced medical microneedling is a procedure that stimulates the skin to regenerate and repair itself naturally and safely, creating smoother, brighter, healthier, younger-looking skin. 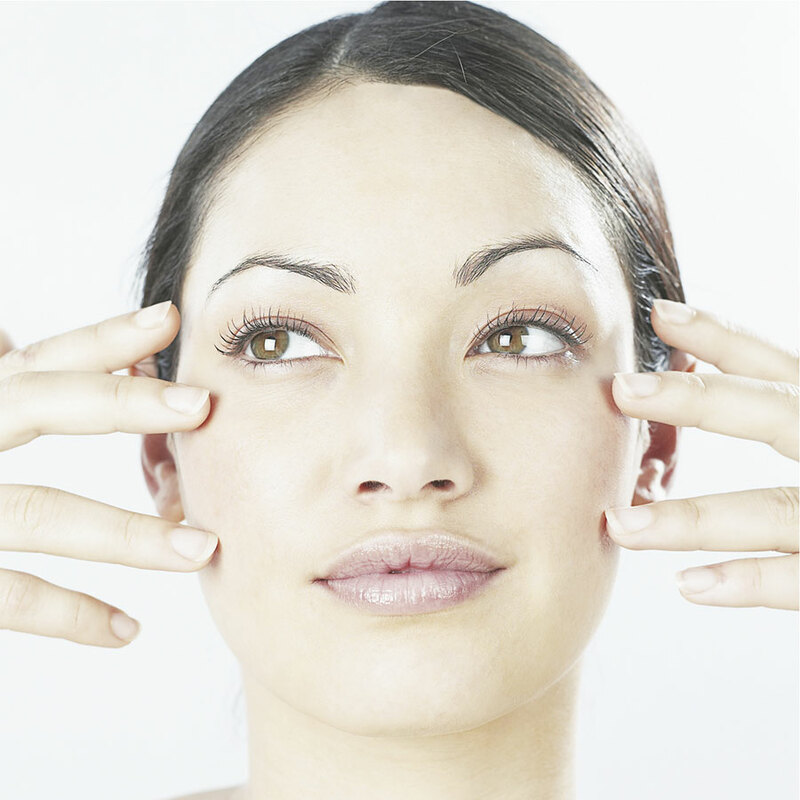 It is the ultimate treatment for non-surgical and non ablative treatment of various skin conditions. Microneedling is a process carried out with a roller that is covered with numerous tiny needles. These needles penetrate the upper layers of skin to a depth of up to 1.5mm. The aim of this treatment is to create a controlled injury underneath the skin’s surface, thereby inducing the body to respond by producing more collagen in the treated area. The skin plumps and thickens in response to the stimulus, reducing the appearance of scars, stretch marks, and fine lines. Microneedling restores aged skin by stimulating the natural induction of collagen, much like during laser surgeries or peeling, and there are almost no side effects but rather increases skin thickness by about 8%, making it the ideal anti-aging skincare solution of the next generation. Advances in the processing of materials on a micro-scale have led to the development and introduction of devices that employ very small needles – disk-needles – that deliver drugs or cosmetics by mechanically perforating the out skin layer and allowing for transdermal absorption of the active compound. Disk-needles can be painlessly inserted into the skin of human subjects and their use does not need any medical expertise. The GENOSYS Rollers that we use in our microneedling treatments, are a barrel-like roller with 540 incorporated disk-needle, made with patented needle-manufacturing technology to provide the safest medical skin treatment. They are so fine and short that an injury of the dermis is impossible when handled by a trained therapist. All components used are friendly to the skin with no known negative side-effects than any other skin treatment methods. 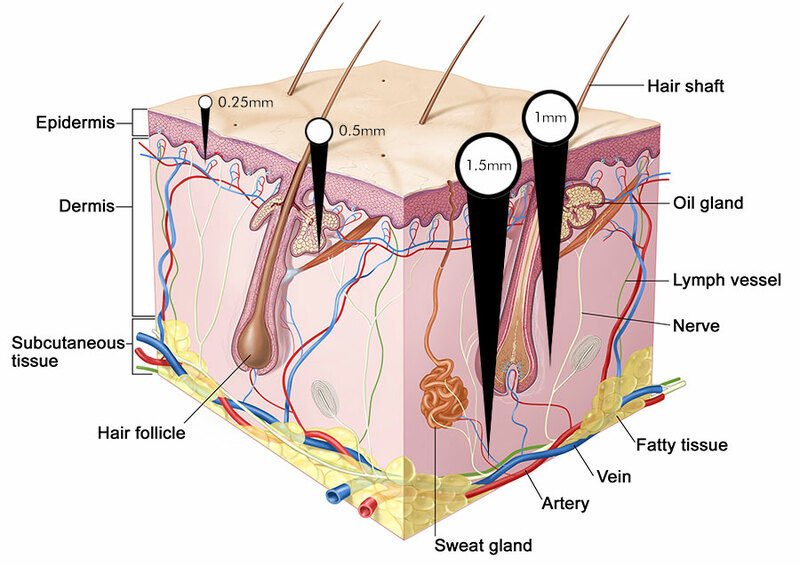 The Microneedles penetrate the epidermis and dermis layer of skin. The needles will generate countless micro channels or micro transcellular routes into the skin that induce wound healing and results in an acceleration of natural collagen induction in the dermal and basal layers. These micro channels also give a pathway for skin products to penetrate more easily (by creating an active ingredient absorption route in the epidermis), boosting their effectiveness massively. GENOSYS Rollers creates channels deep into the dermis of skin, which is the main obstruction to penetration of active ingredients. The active ingredients in the skincare products can reach into the depths of the skin more effectively than by simply applying the products topically. These channels should normally close up within an hour after treatment.